"Benchmark has made huge strides in recent months to catch up to mailchimp. So far, so good." I've used multiple marketing email clients but Benchmark seems to have more control over the look and feel of an email than the competition. That can be a good thing if you know what you're doing. The learning curve for Benchmark can be steep. I've been using Benchmark for a while so I know my way around pretty well, but, it took a while to get up to speed. If you're confident in your email design skills, then Benchmark will be easy for you to learn. You'll have a lot of control over the look of your emails and have the ability to do just about whatever you want to do. Benchmarks customer service is stellar. . .the best. Any time I have had a question, day or night, they are there to help. I haven't come across a problem yet that they weren't able to solve. They've helped us increase our open rate as well with their analytic tools. "Powerful system, with great prompts and help to get your started." I just switched over to these folks recently and they made the transition very easy. The feedback loop from your mailers is good also. With a breakdown of the bad stuff (your bounces and opt-outs with the why) and the opens, not open, and click-throughs. You can start for free, and grow your business with their tools. They also offer several ways to add your contacts, and a lot of templates to choose from for real ease. I haven't found anything that I disliked. In fact, the pop-ups in the lower right-hand corner have helped me when I am in a new place wondering hmm wait. It's a very intuitive problem-solving system in my opinion. These guys are a worth a look, and they probably don't show up on your search immediately (they didn't on mine) but I am glad I kept looking for the right fit. For me it allows me to email about 1,000 clients, from a secure, dependable platform. And I know that they can one click out, which is important to my list integrity. "Benchmark - Great for Mass Emailing"
I like that you can clone an email to re-customize it for a different target audience. For example, if you have a promotion you want to send out to the clients of several agents, you only have to design the email once and then clone it for each agent. Then, all you have to do from there is change the contact information in the email and change the "send from / reply to " email addresses. I have not found anything I really dislike about it yet. It offers everything I've needed so far. so I'm able to accomplish all of my tasks with one program. The price varies on how many contacts you add, but you can have the same people on multiple lists without paying more. If you aren't sure, definitely do a trial of it and even try it out on small lists so that cost is minimal while you are still trying to figure out if you want to use it. Emails are easy to personalize, and there are plenty of fields on the contact profiles to use for this feature. Easy to use. Uncomplicated. Great customer support. Great value. My emails usually end up in Junk or spam boxes even though I am certain that they are clean of any problems. It doesn't directly integrate with e-commerce programs. I don't like to having to purchase Zappier when other CRM's integrate automatically. It also has an issue with Wordpress integration. Email collection plugin is not customizable enough. You've got to try Benchmark and see for yourself how easy and intuitive it is to use. My clients love the layouts and modern structure. Delivers information to my audience and clients on a schedule. I love how easy it is to set up autoresponders. "Great software platform to send out basic e-mail campaigns"
Very easy to deploy and use. website navigation (menu) is easy and available tools are intuitive. No special trainings are needed as long as you had a little experience with e-mail marketing and html. I like the fact you can upload contacts into a list either in excel or cvs format. Some of other e-mail tools, you need to upload cvs files only. Their service fees are lower than their competitors including mail chimp. You have to enter information (ex. source and last e-mail communication) on new contacts each time when you are uploading them into a list. Their e-mail automation method is very basic. Their e-mail reporting tool is too basic for us to really utilize. Great e-mail system if you are just looking to send out very basic e-mail campaigns. Sending out quick e-mail campaigns without investing too much resources. It is a nice backup ems. Thank you for the review! In regards to our automation tools, have you tried our new Automation Pro feature? This tool allows you to create fully automated journeys based on your subscribers behavior. You can trigger emails based on website engagement and previous opens and clicks. This means, if a subscriber visits your website, you can trigger a specific email based on the pages they browsed and continue that journey as they open and click future emails. To try it out, log into your account and look for the "Automation Pro" tool in the top navigation bar. In regards to our reporting, we would love to hear more about how we could improve this area of our site. Do you have any suggestions or requests for how we can better our reports? Thank you for using Benchmark and thanks again for the feedback! We appreciate your business and the effort to help us improve. I find that Benchmark is not integrated with other services like some of the other email marketers are. Make sure it will connect with the other software you use. We started using Benchmark enough years ago that the sites that integrate with other marketers don't have Benchmark as an option. We get our emails out and scheduled. People get the information we want to send. "Easy to use Email Marketing program!" Interface is pretty self explanatory and easy to grasp. I don't find it cluttered.with unnecessary options and info like I have with other providers. They have a good overview of statistics and easy to edit templates with different integration options if needed. Would like to be able to save and edit my own templates with only certain info that gets edited. You can duplicate past emails sent which helps, but an actual template for certain email types would be great. I have used for several types of entities, but most recently have been using for a not-for-profit. They allow a free version for NFP which had been great and still is full of the features. The only limits are on number of contacts sent emails. We send out an email newsletter and event notices about 2 times a month to approx 300 contacts which is great. "Benchmark Email for Monthly Newsletters"
I can use previous months as templates for new newsletters, so that it always has a similar layout. I wish there was more customization with sizing within the drag-and-drop editor. My only issue has been keeping my lists up to date - but that is more my problem than theirs. I love the data I get about who has opened and clicked links within emails and the ratings each of my clients has. 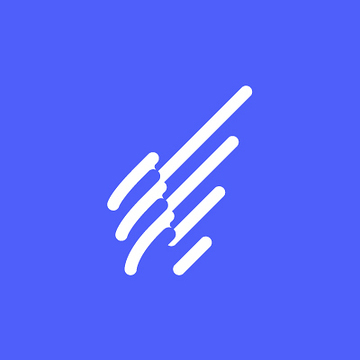 Good, easy to use editor makes building emails super easy. -Their servers can only send 20,000 emails per hour (for the entire platform). That means if you're looking to hit your contact database, you're sharing the servers with everyone else. You can apparently pay more $ and get a private server so your send times are consistent. -Apparently their internal team reviews all emails for spam and broken links, and you have to wait for their reviews to go through. So overall, Benchmark lacks a core function of any email service provider - SENDING EMAILS WHEN SCHEDULED. If you're trying to send time sensitive emails, Benchmark is not the platform for you. Maybe it would work for B2C, but for B2B companies trying to get the correct messaging at the correct time, Benchmark's functionality falls short. We were hoping to use Benchmark for nurture campaigns, however, it's inconsistent send times made it a failure for us. We have been able to use the free version of benchmark which is helpful. When we have tried uploading some of our lists into similar sites, we would just be told the list was rejected. Benchmark actually walks you through some possible problems with the list might have. I personally feel that the actual creation of emails is a little more difficult than other possible tools. Its interface is also a little less robust. Benchmark is a great way to start sending marketing related emails. If you have a list larger than 2,000 it will no longer be a free account. We have been able to use Benchmark to help us clean some lists and also send some successful email campaigns. "Reliable low cost email service"
My company had this for a while and it has worked great and did everything you'd expect for email and signup software. We can have people opt in quickly and easily with a series of premade forms or customize a form. We actually just used the basic form with contact fields but you can also add text and colors to customize it and add to your website. Emails can be customized or started with templates so you know contacts are receiving newsletters that are properly formatted. Some of the customization options limited so when we really need to have something look a certain way, the text or spacing might be slightly off and is difficult to fix without coding knowledge. Customer service might not know how to format certain things either. It's a popular and reliable software and not very expensive so it's a good starting point. You can use many tools to customize the look of forms and emails. If you want something that can be tailored very precisely though, then this might not be the best option. Automating contact optins helps save us time and keep us within emailing guidelines. We can get emails out in a timely fashion are create lists for certain contacts and with specific topics so they're more likely to convert. We generally convert more when we send emails. "Email marketing for ministry use"
We like being able to use our own custom coded email design. Benchmark serves as the delivery method for our newsletters. The UI is a little confusing at times. We wish they allowed custom code in the templates they provide. This would allow us to more quickly create newsletters instead of using our own custom coded emails. Try to use their templates as creating your own custom coded email can be troublesome. Having a source from which we can send large amounts of email newsletters out from. "A Solid Alternative to MailChimp"
Benchmark is a tool for managing mass emailing. It is great for marketing or for staying in touch with large groups of people via email. The tool makes it relatively easy to create nice looking HTML-based emails. And the tools for managing various mailing lists are quite nice. The pricing plans are a bit complex, and I frequently find myself bumping up against the ceiling of my current plan. I can't justify going to the next plan up, so I have to pare something back. The learning curve was a little steep, but, once I got the hang of it, I was OK. I doubt Benchmark could do anything about this, but the fact that I have to maintain two copies of a mailing list, one in Benchmark and one in my CRM, is worrisome. What if they get out of synch (and they do frequently)? But there are tools for importing .csv files, so that's how I keep things in synch. There are other products out there -- MailChimp being the main competitor -- but I like Benchmark better. Admittedly, part of that may be because I'm now very familiar with it, although we did consider MailChimp when we first were looking for a tool to handle mass emails. Make a matrix of features you're looking for and do a good comparison. Watch out for the complex pricing matrix, too -- there are many ways to buy Benchmark and it really depends on your situation which package is right for you. We have several mailing lists we use to communicate with large groups of people. Benchmark allows us to maintain our lists (although it isn't integrated with our CRM), design nice emails, and get them sent out. It tracks bounces and returns nicely and lets us get a good sense of which emails are most effective. It even has an A/B test for the email subject line that has yielded some surprising insights for us about what works and what doesn't. After reviewing a number of products (most notably MailChimp & AWeber) I selected Benchmark as being the most appropriate for a start-up. Isn't it great when you know you've made the right decision? Benchmark gives me everything I wanted and tons more but the most important thing of all is their absolutely amazing support. One on one handholding when I've needed it, not that it is difficult to use. Sally Beers has been my assigned support contact since day 1 and is excellent at her job. I am using Benchmark for client lists, sign up forms, autoresponders, email campaigns and surveys. Thank you for these kind words. We are happy to know our service and tools exceed your needs. Reviews like these fuel our teams all around the world! "Great platform for basic email marketing initiatives"
Benchmark has a lot of great capabilities and is an easy to use email marketing tool. It's pretty cheap and free to use until your lists grow larger. It's easy to get the job done with and offers excellent customer service. Their online 24/7 chat services are really one of a kind. If you don't have a PMS system to integrate to, massive company budgets or advanced email marketing campaigns - this tool is for you. Extremely budget friendly, easy to use and great customer service. Our management company oversees 90 different hotels and it's a nice and budget friendly way to run campaigns for all our hotels without spam / cross interference issues. Benchmark also offers an excellent chat / help service which is quite helpful since the job has a lot of turnover. The steps for creating email campaigns are easy to follow and the Editor for the email campaign is easy to use for someone with no design or coding background. You can either do their Drag and Drop feature or the HTML feature. There is nothing I dislike on Benchmark. We've used this tool for a few years now to send our office newsletters. We have an extensive contact list of partners, students, and parents that we send our email newsletters to. Benchmark helps us declutter our inbox sending these mass emails and help us track the engagement of the emails. "Powerful Email Marketing Automation Platform‎"
The visual editor makes it convenient to see the HTML code and live version of the email template you are creating/editing. There's no need to flip flop back and forth with Dreamweaver and other HTML editing tools. The email list management tool can definitely improve and allow for more bulk editing of contacts/search. Being able to sync up web forms from client websites with Benchmark Email and have never come across syncing issues. We're also able to share our email campaigns easily using Benchmark's social media share tool or short URL. It feels like you can do more customization when setting up an email. I tried the likes of Mailchimp and Campaign Editor but I found them very limited. I wish their much more customization available, like being able to change picture and textbox sizes. Need to add more fonts, not a whole lot available. Using Benchmark to get us started with our Monthly Newsletter! I love the stat tracking! Thank you for the review and feedback! In regards to the sizes of images and text blocks, please contact our support team ( 800 430 4095 ) when you have time to see if we can help you get the sizes you want. Also, in regards to the fonts, if you use a font that isn't supported by the general email clients they would automatically be replaced by generic ones. This is why we provide "safe fonts" to make sure all browsers and email clients will show your emails as you intended to make them. We really appreciate that you took the time to give us this feedback and we look forward to providing you with excellent service! 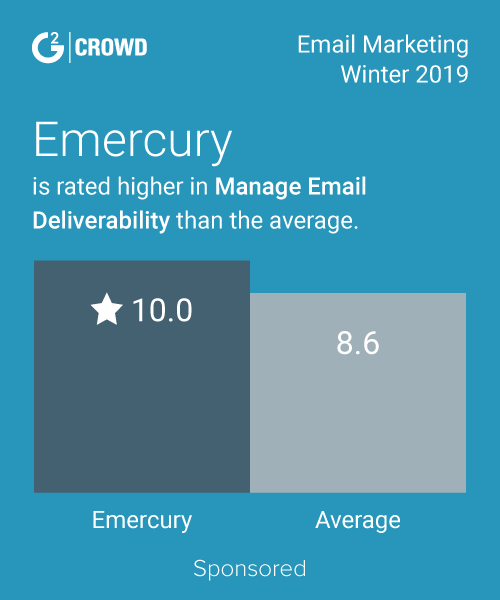 "One of the best entry level email marketing service provider"
I really like how benchmark really stepped up their game by offering a free plan for life which really works for a small company like ours. We have up to 2000 contacts a month with advanced features. One thing that really stands out is that benchmark offers free surveys which not other competing services offer. the template design ux interface is very smooth and easy to drag and drop necessary contents into the campaign. It is also very easy to incorporate social sharing on top social media accounts such as Facebook and Twitter. I like how there is a video integration but it tends to lag on the loading time. Their customer service phone line is very limited and most of the time you cannot reach them for support. I also do not like how we cannot track the social media and sales for conversion rates. This is a solid and great email marketing provider for smaller business and even for nonprofits. There are definitely more strengths from this service compared to its competitors by offering more advances features such as free surveys. Benchmark has provided the best entry level opportunities for small businesses like ours. Some of the benefits we have realized is that there is a good balance of pricing, flexbility in template design and post analytics. - Good toolset and easy to use on both mobile and desktop. They provide additional service for verifying emails ( with added cost). - There is no easy way to quickly send an email to all the folks who have not opened an email campaign, especially when you do a campaign with A/B testing. "Best E-mail Marketing for SMBs"
Ease of use, responsiveness, interface and price. I switched to Benchmark from Constant Contact two years ago and I love it! It is easy to use and intuitive. The price is great for my SMB clients. I also love the reporting. I love the service but when a list is regected, it is not immediately clear why. Also, I would love to be able to see a separate list with regected emails. One of my clients has a really large list and that would make scrubbing the lists easier. Definitely a great solution for SMBs. Tiered pricing model makes it easy to market to lists of all sizes. Simple to use and cost-effective solution for email marketing. I didn't realize how easy and intuitive it would be. "New but easy to handle"
What I like is the simplicity and ability to easily navigate through the program. Some programs I think tend to be harder to find always what you need. With Benchmark I don't see to have as much trouble compared to others. One thing with most programs is what do you need. Like any there are limitations but we would not be using the software or have for certain purposes if it didn't meet expectations. I always recommend finding out what you need first before buying. Try it out. For a starter corporation I feel it meets the standards but could evolve into something greater the more users it takes on. This is great because it allows not only for e-mail marketing as a business perspective for doing outreach but also from the event planning side of things. I find both to work very well with each other. For a smaller company I think this is a great starter software depending on your needs. Pay for image hosting. If you delete images from your library, the image from the emails that have already been sent will also be deleted. "Good to tool creating responsive and mobile friendly templates for email campaigns." Very good tool for creating awesome responsive and mobile friendly email templates for marketing purpose. It provides real time reports for our marketing campaign. Its one of the cool feature that I liked. Bad thing about this tool is, some time it creates spamy templates means when we send email using those templates, email client markes it as spam email. I would recommend this tool for new marketing campaigns. We are using this tool for crating email templates for marketing our products.
" Awesome and tool for email marketing." Its nice tool for email marketing campaigns. Its attractive features are responsive and mobile friendly templates which are compittable for any devices. It has lots of other good features also. Almost this tools seems good for email marketing but report generation seems bit complicated. Sometime its hard to understand report generated by this tool. Surely i would recommend this tool for start-up and newly started companies for email marketing purpose. We are start up company. So we are using this tool for our email marketing campaign. I love both the ease of creating dynamic eblasts and accessing informative reports! The drag and drop editor is easy to use, but I dislike the lack of total personalization that is allowed. I also dislike the fact that, like with all other email marketing programs, an email sent from Benchmark is more likely to go to a recipient's spam folder than a personal email. It has been a great tool of communicating with our customers and tracking what our customers are interested in! "Easy to use, with some limitations"
simplicity of templates and the ability to mass-upload email contacts. Limitations in formatting abilities leads to often-clunky formatting and amateaur appearance. Worth it for large email lists and easy email creation. Sending out special promotions, targeting past clients. "Very easy automation email setup "
email marketing to our clients. My favorite part of Benchmark is the ease of use - the drag and drop editor is really, really good. The automation feature could use a little work, and the Salesforce integration is currently in disrepair -- the Zapier integration they offer as an alternative is extremely limited. Consider all of your needs, and weigh whether or not the Salesforce integration will be a deal-breaker for you. I'm using Benchmark to do all email communication and marketing. That you can drag and drop certain parts of the email while creating emails and newsletters. It makes it easy to use and to train other on as well. I wish you could resize and edit the design of emails and newsletters easier. It seems cumbersome and a lengthy process with its current parameters within benchmark as it is now. I have been able to send my email and subscriber replies much faster now. I am able to simply drag and drop in features to personalize emails for certain email lists without having to insert everything separately. Everything about Benchmark Email's system is set up so that it is easy for the novice to comprehend while at the same time incorporating extremely powerful features which will suit the most sophisticated user. Benchmark's tracking and reporting interface manages to display extensive information in a clear graphical manner so that you can comprehend how your campaign is performing at a glance, the social media integration is second to none, and their templates are highly sophisticated and attractive. If you ever run into any kind of problem their customer service is prompt, efficient, courteous and knowledgeable. All in all, Benchmark provides everything any email marketer would require... and then some. Their interface looks great on mobile and smaller screens but gets a bit billboard-y on my 32" monitor. There are many email service providers but you'll find that once you commit to Benchmark Email you won't ever have to look at alternatives, as they offer it all and do it very well. We've done trade shows where we have garnered hundreds of permissions from clients to send email and we have found that implementing the double opt-in process with Benchmark results in very high completion rates. Email marketing is made easier with Benchmark email as it is cheaper and easy to use. "Benchmark Email is a great and easy to navigate tool! It made our email marketing campaigns simple. " We like how easy they system makes it to schedule and send out emails. I dislike that they don't tell you the free account expires. We have find an easy tool that gets the job done quickly. We are no longer dealing with the hassle of adding certain contacts to certain emails or remembering to pull someone out if they unsubscribe. Benchmark is very user friendly. I enjoy the ability to create my own templates. For me, Benchmark is slow when loading a large list of contacts. I use Benchmark for mass communications. It is very beneficial to have the results from every email blast. It is good for sending out Enewsletters for the company. * We monitor all Benchmark Email reviews to prevent fraudulent reviews and keep review quality high. We do not post reviews by company employees or direct competitors. Validated reviews require the user to submit a screenshot of the product containing their user ID, in order to verify a user is an actual user of the product. Hi there! Are you looking to implement a solution like Benchmark Email?